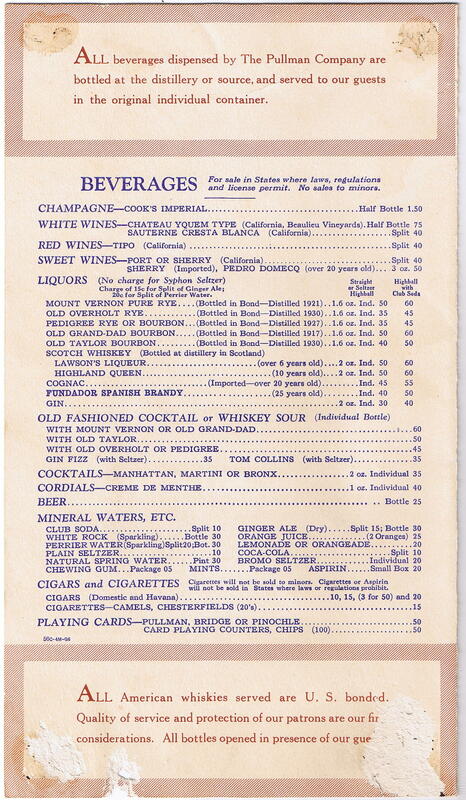 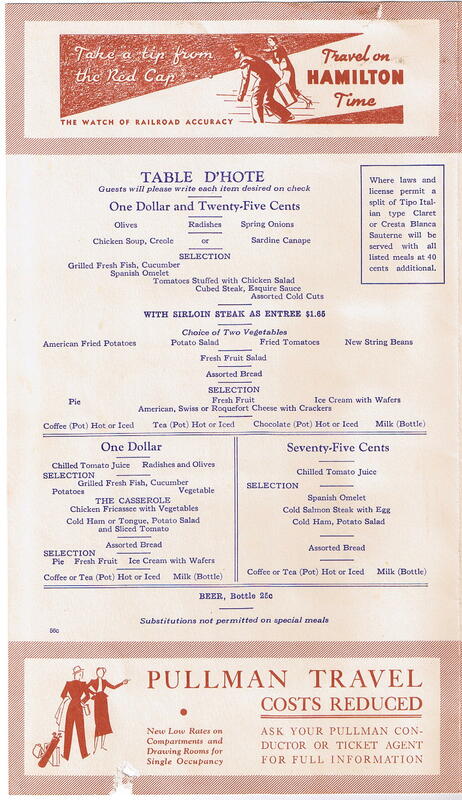 Description An unusual 1936 Pullman Restaurant Car Menu with a few condition issues. 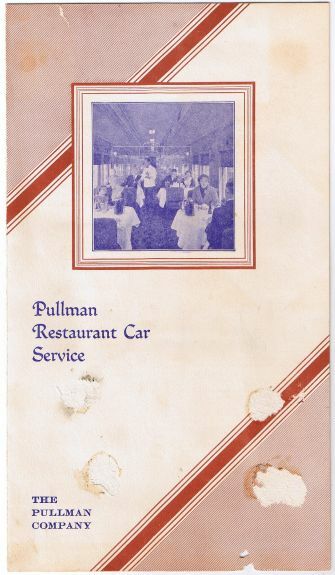 Even with the damage to the cover, this is rare in that Pullman did not operate many full dining (restaurant) cars in the mid-1930s, but mostly lounge and club cars because the railroads operated their own dining cars. 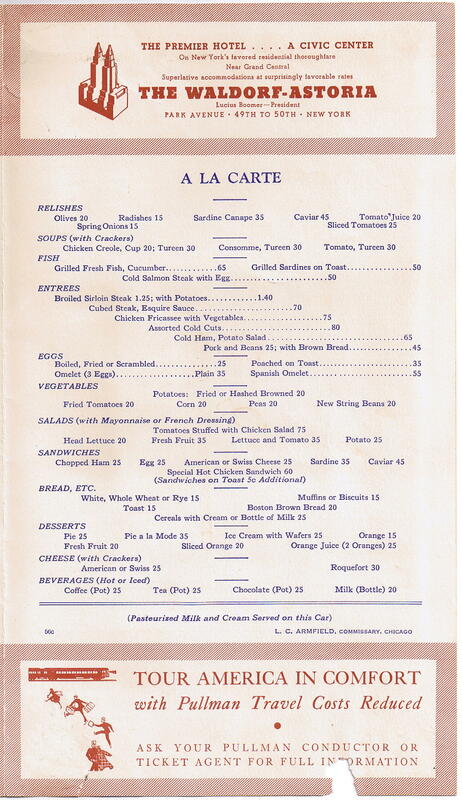 These menus are not easy to find in any condition. The cover features a nice photograph of the car interior.